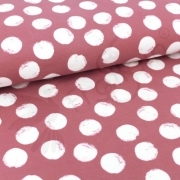 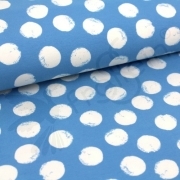 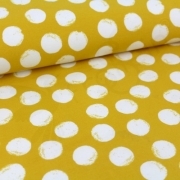 Super cozy and soft organic cotton Lycra sweater fabric with big white dots and in five incredible colors. 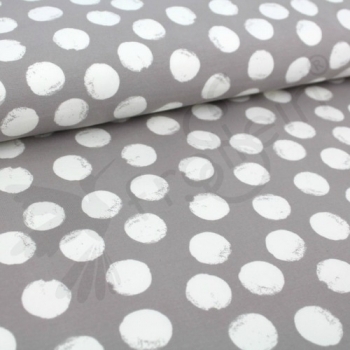 The backside is brushed and super soft. 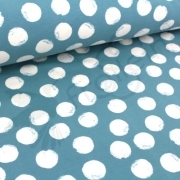 This fabric has good stability, so it's perfect for jackets, hoodies etc.